The median price of a single-family home in Hingham, Massachusetts was $652,000 in May, an increase from $595,250 in May 2013, according to data compiled from the Massachusetts Association of Realtors. Hingham, MA single-family property prices increased 2 percent over the first five months of the year compared to that same period in 2013. The median price through May was $625,000. Through the first five months of 2013, the median price stood at $612,500. The number of single-family houses sold in Hingham increased 72.2 percent in May 2014 compared to May 2013. There were 31 closed sales in May 2014, compared to 18 in May of last year. Meanwhile, pending sales in May decreased by 23.4 percent. There were 36 pending sales in May 2014 and 47 in May 2013. Through the first five months of the year, both pending and closed sales numbers were higher than during that same period in 2013. 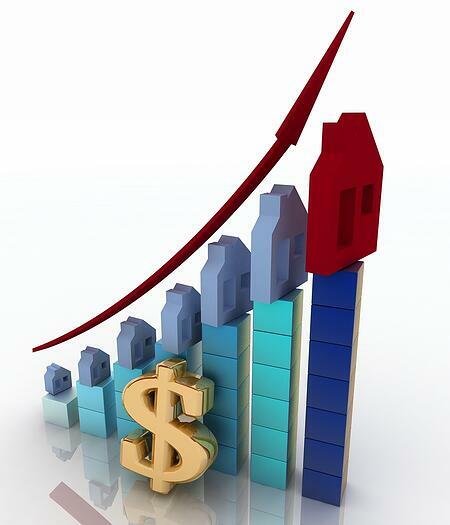 There were 135 pending sales in May 2014 compared to 133 in May 2013, an increase of 1.5 percent. As for closed transactions, there were 86 through May 2014 compared to 78 through May 2013, an increase of 10.3 percent. Hingham, MA real estate inventory for single-family homes in May declined 6.2 percent from 2013 to 2014. The months supply of inventory also decreased, going down 11.7 percent. There was 5.4 months supply in May and 6.1 months supply in May 2013. The number of new listings in May dipped 1.6 percent from 64 new single-family listings in May 2013 to 63 in May 2014. Compared to other Greater Boston Area cities and towns, 5.4 months of inventory is large selection of homes. The average number of days on the market for a single-family house in Hingham declined 53.2 percent, and homes sold for 94.4 percent of the original list price in May. Single-family properties sold for 90.7 percent of the original list price during the first five months of 2014. Most homes in the Greater Boston Area have recently been selling for more than 97 percent of the original list price, indicating homes in Hingham may be listed too high. The median price of a condominium in Hingham was $1,039,500 in May 2014, up 284.1 percent from $270,625 in May 2013 on 10 condo sales. Through the first five months of 2014, the median price of a condo was $615,600, up 66.4 percent from $370,000 during that same period in 2013. As condo prices rose, so did the number of sales. There were 10 condos sold in Hingham in May 2014, a 25 percent increase from the eight sold in May 2013. Thirty-five condos were sold from January to May, compared to 25 during the first five months of 2013, an increase of 40 percent. There were seven pending condominium sales in May, a 53.3 percent decline from 15 pending condo sales in May 2013. Through May, pending condo sales rose 7 percent compared to the first five months of 2013. There were 46 pending condo sales through May compared to 43 during that same period in 2013. Hingham, MA condo inventory in May declined 67.6 percent from 2013 to 2014. There were 11 condos on the market in May 2014, compared to 34 in May 2013. Months supply of inventory in May declined 72.7 percent, going from 5 months to 1.4 months. New condo listings decreased 36.4 percent. There were seven new condo listings in May compared to 11 in May 2013. Through May, there were 37 new listings, a 42.2 percent drop from the 64 new units listed through the first five months of 2013. The average number of days on the market for condos increased 75.6 percent in May and 6.8 percent during the first five months of the year. The 10 condo units sold in May sold for 94.8 percent of the original list price, and the 35 units sold from January to May sold for 95.8 percent of the original list price.